A few dominoes already have tumbled ahead of the Feb. 25 NHL trade deadline, with forwards Derick Brassard, Nick Bjugstad and Andrew Cogliano changing hockey addresses along with defencemen Jake Muzzin and Jamie Oleksiak. Who could be next? A few dominoes already have tumbled ahead of the NHL trade deadline, with forwards Derick Brassard, Nick Bjugstad and Andrew Cogliano changing hockey addresses along with defencemen Jake Muzzin and Jamie Oleksiak. Here is a look at some of the other names that could be moved between now and 3 p.m. ET on Feb. 25. With both set to become unrestricted free agents July 1, the Columbus Blue Jackets have some big decisions to make before the trade deadline. Panarin has made it clear he won't be negotiating a new contract until after the season. That could push Columbus into dealing the talented 27-year-old winger to avoid losing him for nothing. General manager Jarmo Kekalainen has another potential headache in the form of Bobrovsky, his star 30-year-old goalie, who can also walk for nothing this summer. 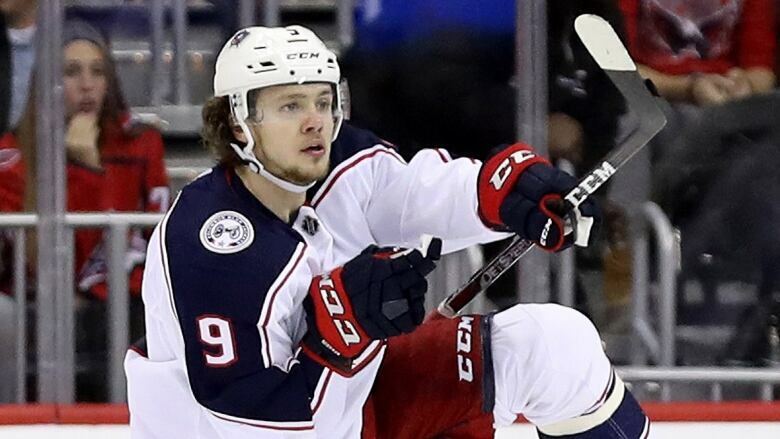 The Blue Jackets could wind up keeping Panarin and Bobrovsky as rentals already on the roster in hopes of finally making a breakthrough in a Metropolitan Division that could be there for the taking. Also set to become UFAs this summer, the Ottawa Senators' star forwards have each expressed a desire to stay in the nation's capital. But with the trade deadline fast-approaching and Ottawa unable to risk losing them for nothing, GM Pierre Dorion will need some clarity soon. 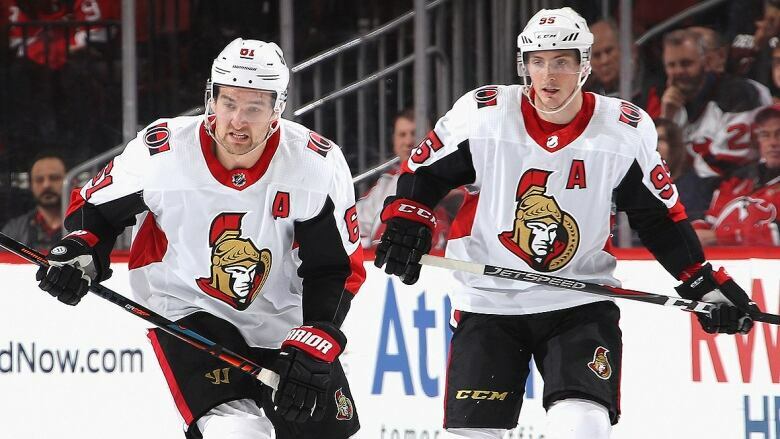 If the rebuilding Senators are unable to come to terms on contract extensions with Duchene, 28, and Stone, 26, they will be forced to explore trades to get as many assets as possible. Another forward on an expiring contract, the Philadelphia Flyers winger would be an ideal rental for a team looking to make a playoff push. The bruising Simmonds, 30, is built for post-season hockey when the games get harder and it's more difficult to find space. Flyers general manager Chuck Fletcher, who has been on the job since early December, has said there's been dialogue between the pending UFA's camp and the team on a new contract. 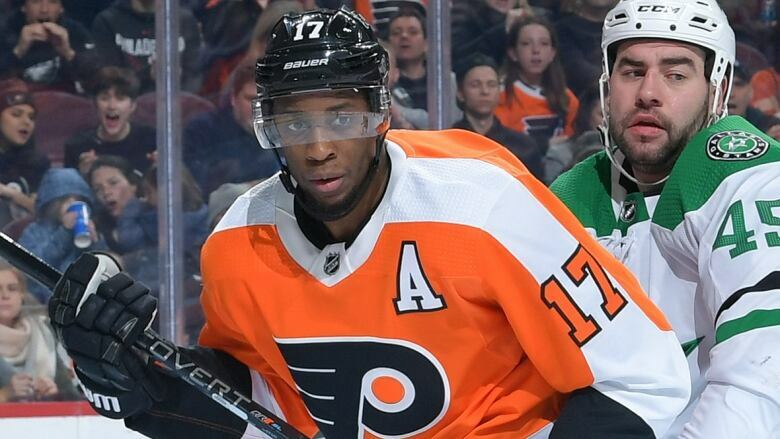 But as with Ottawa, if a new deal can't be done with Simmonds, expect the Flyers to ship him out of town as they begin their own rebuild. A pending UFA -- this is a recording -- Ferland would, like Simmonds, look great on a team looking to add muscle and scoring for a playoff run. The Carolina Hurricanes winger proved he can put the puck in the net during his time alongside Johnny Gaudreau and Sean Monahan on the top line of the Calgary Flames. Carolina could choose to re-sign the 26-year-old, but like the teams mentioned above, would be loath to lose him for nothing on July 1. Hurricanes defenceman Hamilton, who was part of the trade that brought Ferland to Carolina at last June's draft, also could be on the move before the deadline. Unlike Ferland, however, the 25-year-old Hamilton is signed through the next two seasons at a $5.75 million US cap hit. A pair of slick UFA wingers could also be dealt before the deadline as well. 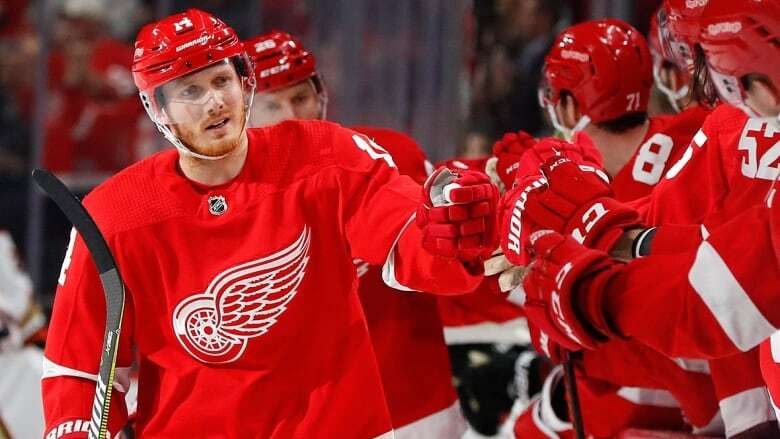 Nyquist, 29, probably isn't in the plans of the rebuilding Detroit Red Wings, while the same is likely true for Zuccarello, 31, with the New York Rangers. Both players would provide a playoff team offensive flair at even strength and on the power play. Zuccarello is the more proven playoff performer with 31 points in 60 games. Nyquist has just eight points in 35 career post-season outings. Apart from Bobrovsky, two goalies potentially changing addresses are Talbot and Howard. Talbot, 31, has lost the No. 1 job with the Edmonton Oilers to Mikko Koskinen and looks certain to be moving on this summer. Howard, who turns 35 in March, has been a member of the Red Wings' organization since 2003, but could provide a steadying influence as a veteran backup to a contender. Both netminders are set to become UFAs on July 1.